Feral Interactive announced the iPad version of Tropico a while ago and has slowly been revealing more information through gameplay videos and social media. After revealing that it would be a premium game and then the release window, they went on to announce the launch price for the game. It hits iPad this autumn and today we get to see a feature built for the iOS version of Tropico. Tropico for iPad’s Overlay feature lets you toggle colour coded panels to see the social, economic, and environmental condition of your island. Green indicates good while red indicates poor. The Transport, Religion, Health Care, Food Production, Food Consumption, Entertainment, and Education colour coded overlays have been built only for the iPad version of the game. 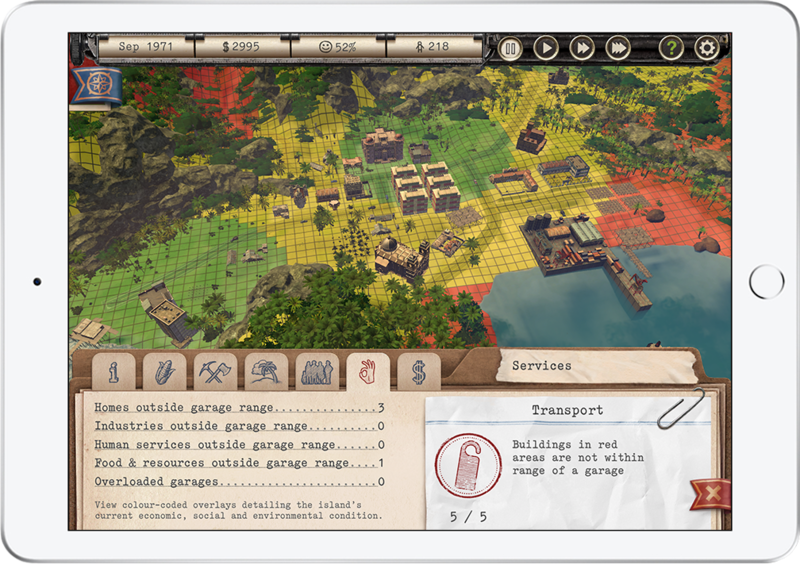 Tropico arrives on iPad this Autumn and will cost $11.99. This will be a premium release with no in app purchases. Feral Interactive even uses the tagline “Buy Once, Rule Forever!" for the upcoming release. These kinds of games work best on touch devices for me so I’m definitely looking forward to Tropico on iPad.